Would you like a garden that produces bountiful harvest year after year without back-breaking effort? Last fall, I sat in on a lecture by Rick Austin, author of Secret Garden of Survival. Rick showed the class one picture after another of a forest-like garden filled with every fruit and vegetable imaginable and said once planted, the garden pretty much took care of itself. A month or so later, I’d thought I figured out the best spot for a food forest and called a tree removal company. The week the bulldozers were scheduled to raze a half acre of our wooded land, I met Joshua Deel of Barefoot Farms & Permaculture. Whether you consider it a coincidence or an act of God, it was perfect timing. Turns out Josh is a certified permaculture designer and the owner of Sustainable Design Solutions and do you know what he said when I told him of my landscaping plans? I immediately cancelled the construction crew demolition and over the last month, Josh has been busy creating a design to turn the mountain house into a permaculture homestead. The more I learn about permaculture, the more excited I get. My goal today is to share some of that excitement and show you why I think permaculture is the way of the future. 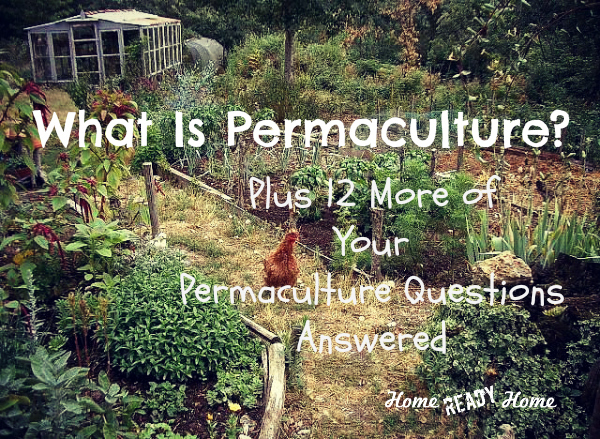 Josh has graciously agreed to help by answering some of the most common questions about permaculture. 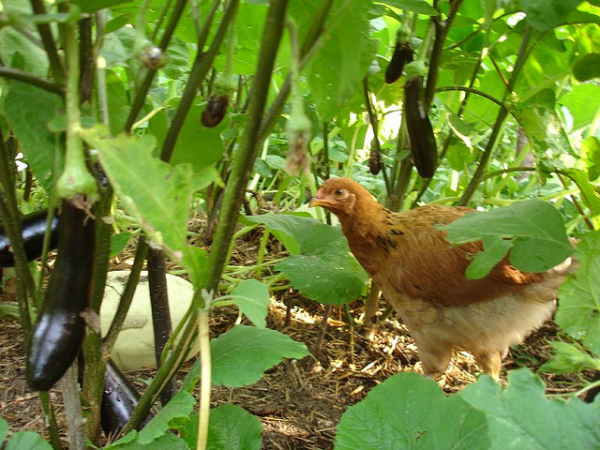 Permaculture is the intentional design and maintenance of agriculturally productive ecosystems, which have the diversity, stability, and resilience of natural ecosystems. It is the harmonious integration of landscape and people—whole human habitats—providing their food, energy, shelter, and other material and non-material needs in a sustainable way. The philosophy behind permaculture is one of working with, rather than against, nature; of looking at systems in all their functions rather than asking only one yield of them and thereby allowing systems to demonstrate their own complexities and maturation. This requires a multi-disciplinary approach integrating ecology, agriculture, architecture, and construction. Why should I care about permaculture? Without permanent agriculture there is no possibility of a stable social order. Period. Soil degradation is at the core of environmental, even social, problems we face. Our present system of agriculture and land clearing for agriculture either remove soil or deplete it. The only way to change what we as a culture and society have created in history and change the problems that persist in the present is to partner with ecosystems and design for ecosystem interactions that will build soil, and ultimately a permanent culture as well! We can design for the futures we want to have and want our posterity to enjoy by changing the present paradigm, designing ecology-based societies instead of consumer-based ones. Permaculture offers an alternative paradigm to the current system of pending crises in food, fuel and energy, economics, politics, etc. It changes the social system in that it makes people define where their resources- what their needs are for food and support systems- come from within their region or biosphere. Permaculture design can establish secure whole human habitats that are both resilient and regenerative, supplying for all our needs! This kind of human habitat offers numerous health and lifestyle benefits, including the expansion of time density- that is, meaningful life experiences increase exponentially and overall quality of life enhances! What are some examples of permaculture in practice? Permaculture is also practiced on any scale, from the very small urban or city space to the larger rural agricultural scale and even broader macrospaces such as entire landscape rehabilitation projects as the Loess Plateau in China (nearly 9 million acres!). Permaculture is also employed in holistic aid relief projects globally. Is this just some New Age method of gardening with fancy terms like food forests? Earth Care—this includes all living and non-living things, land, water, animals, air, etc. People Care—to promote self-reliance and community responsibility. Return of Surplus—this is to pass on anything surplus to our needs for the aims above (this is not to be achieved through government coercion, but voluntarily). What’s the difference between permaculture and sustainability? Sustainability needs to be demystified. Simply, sustainability is an energy audit of a system. A sustainable system produces more energy than it consumes, so that there is enough in surplus to maintain and replace that system over the lifetime of it’s components. In other words, the system is just replacing itself, there’s no real increase. Sustainability is the minimum requirement of permaculture, and in order to gain an increased surplus you have to link to living systems because living systems get their energy from the sun, a free resource! Permaculture looks to gain a surplus in order to increase diversity and fertility of the system while providing our needs. We look beyond sustainability towards abundance! Do I need a lot of land to get started in permaculture? Not at all! You can practice permaculture right where you are—even if it’s at your place of employment (even in a cubicle!). In fact, we know that the smaller the space, the higher the production per square foot will be! This is because efforts will be more intensive or concentrated. Do I need animals to practice permaculture? It depends. In context of the previous questions, one begins to see the scope of permaculture, its holistic nature and application. An example here would be a garden. There are different approaches to garden pests. One pest-negative approach applies chemicals and uses other such applications to eradicate them. A permaculture practitioner would simply design for an integrated pest management system that offers beneficial predator habitat (such as frogs, various birds, and other beneficial creatures) that is plant positive and offers chaos in cooperative confusion to eliminate unwanted pests. Once the pests are removed in this approach (usually eaten by a beneficial predator), they are re-deposited to the site in the form of fertilizing excrements. The first approach requires costly off-site inputs and harsh additives; the latter approach simply works with nature in an intentional design that is truly sustainable (a closed loop!). Besides, we don’t have “pest problems” we have “site deficiencies”. This is the answer to the question: what is my site lacking? Perhaps, its animals. What does permaculture have to do with being prepared? How can I start incorporating permaculture into my life—or home, garden, community—right now? This is a great question! There are many ways to start doing this, today even. The first step is becoming educated about the practice, and the best way to do this is taking a 72hr. Permaculture Design Certification course (commonly referred to as the PDC). A great book, was written on how to transition to a permaculture lifestyle. To read it, click here. I’m not great at gardening. How can permaculture help me? That’s okay, you don’t have to be a great gardener, or architect, or builder, or landscaper, or highly educated, or a person of great financial means to practice permaculture. Again, permaculture is concerned with so much more than gardening. It is a holistic, whole system approach to designing our human habitats. It gives us a mainframe way of thinking and observing. Within permaculture are many disparate disciplines and sciences, and this doesn’t mean you have to be an expert in all of these areas- in fact it’ll take a lifetime (and then some) to master all of these. Simply, you need to gain the mainframe understanding of how to design ecologically sound systems and how the various disciplines (gardening, earthworks, landscaping, etc.) are arranged within permaculture design, and then enjoy the learning process of applying the vast disciplines necessary to implement your plan. Money’s tight. Does that mean permaculture isn’t for me? Not at all! There are so many free resources online, DIY sites, and work-trade programs where you exchange labor for permaculture training that will give you the skills and know-how necessary to get started in permaculture. permies.com is great for DIY resources, videos, tutorials, etc. permaculturenews.com is excellent for daily articles and the news feed. 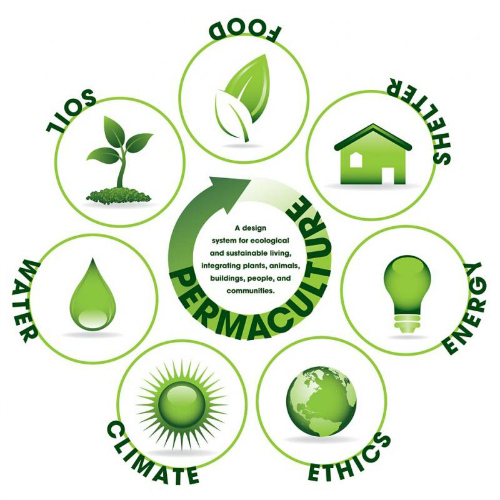 permacultureglobal.com is a global forum for people practicing permaculture, demonstration sites, permaculture aid work, and training courses. geofflawton.com Geoff Lawton is one of the premier permaculture designers today and offers top quality courses and videos. thebarefootfarm.com is our farm website, which has all of our contact information and tabs for services we offer in permaculture consultation, design, and implementation as well as educational tours, workshops, and PDC courses. Don’t hesitate to touch base with us. We’d love to hear from you!